A month ago, BF and I were in LA, so we decided to check out the Los Feliz/ Silver Lake area, rated the #1 hipster hood in the US. After brunch on the patio, we strolled up and down the streets and stumbled across Co-op 28 Handmade, a store with a cool collection of vintage digs and décor in the back. I spotted these gold drop earrings, made eye contact with them, and the rest was history. Love at first sight! To me, shopping is all about gut. You either get a feeling, or you don’t. I can’t stand going shopping with friends that are too indecisive. Drives me insane! Anyway, back to the earrings. 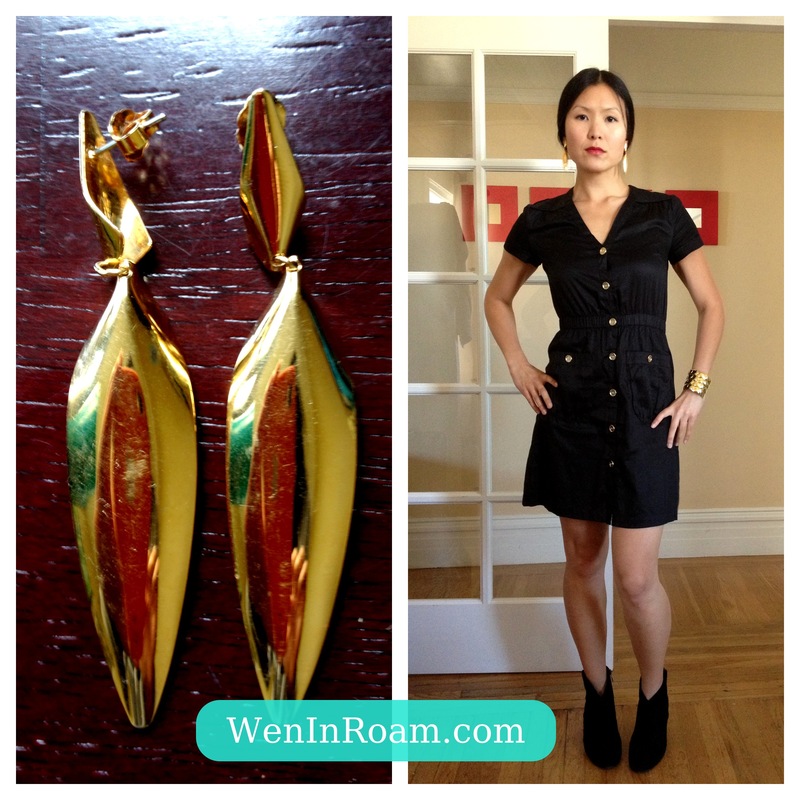 Here they are paired with one of my favorite dresses from H&M with gold buttons. Oh, and my new black suede Ash booties that are hot hot hot! Literally…do you see me roar? Top left. That’s me roaring. I’m roaring while wearing a cheetah print tank styled with grey animal print jeggings. I was little hesitant doing animal on animal, but sometimes you just need to embrace it and go full throttle. ROAR.